Sound Transit is the central Puget Sound regional transit authority and has been operating since 1996. 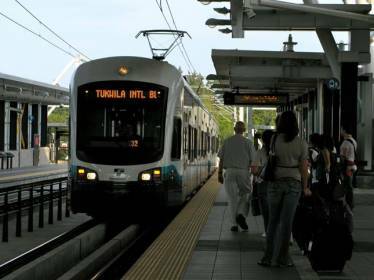 Their transit operations consist of express buses, light rail and commuter rail operations. 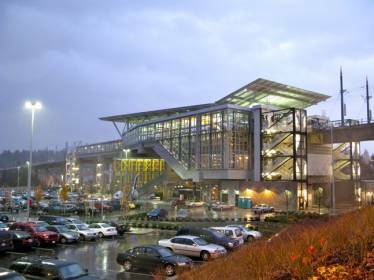 The Sounder Commuter Rail is a service that extends from Everett down to Tacoma, and it is operated by BNSF Railway on behalf of Sound Transit. 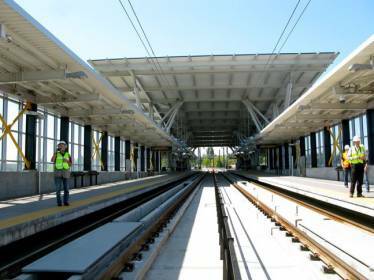 The project for the new Tukwila Sounder Transit Station broke ground on June 24, 2013 to replace the temporary transit center that was there before. The new transit station has permanent platforms, over 350 parking spaces, ticket machines, bicycle facilities and bus transfer areas. It also features a prominent entry art piece by Sheila Klein that includes a sculpture, light and raised planting beds. The project cost an estimated $46 million. Portland Bolt was called upon to provide the anchor bolts for this project. Because Portland Bolt partners with many companies that provide anchor bolts for WSDOT and ODOT projects, we keep a wide variety of domestic anchor bolts on the shelf. This allows us to meet our customers’ quick needs and the anchor bolts can be delivered extremely fast. For this project, we were able to ship out the anchor bolts the same day the order came in, meeting the contractor’s rapid requirement. Do you have a project that requires a quick delivery? Portland Bolt has many experienced estimators who are waiting to help you on your project! With our 94,000 square foot manufacturing facility, we can easily meet the strictest of construction schedule needs!